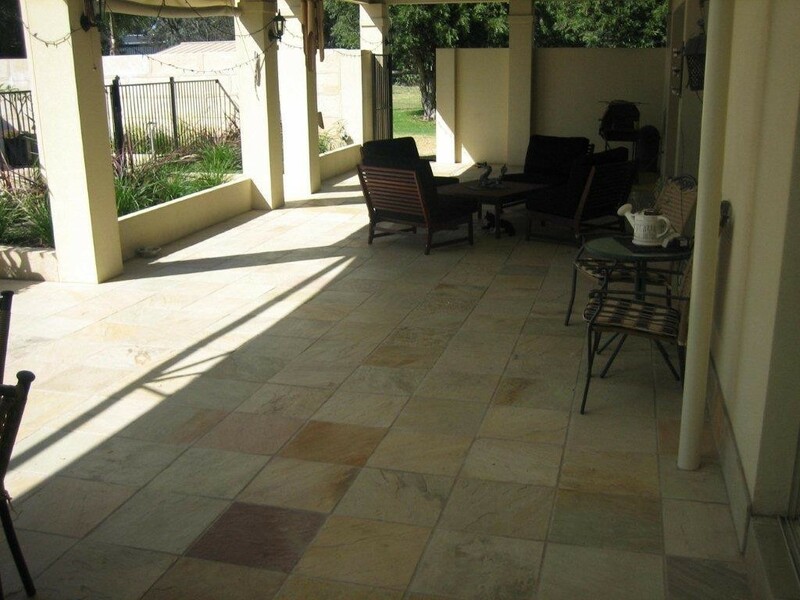 Sandstone is sedimentary stone that comes in a variety of colours. 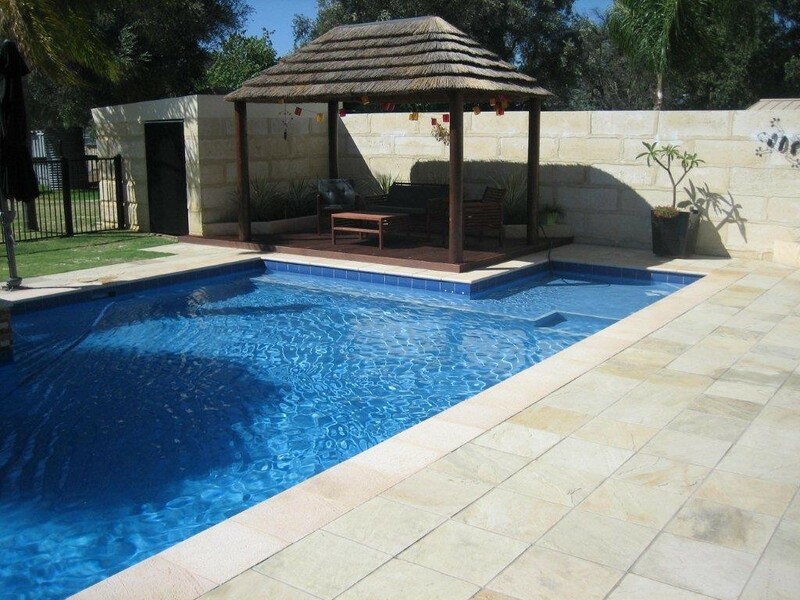 The texture of sandstone is coarser than slate and this gives it an excellent slip resistant feel under foot. 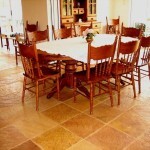 It is a wonderfully versatile flooring which can be used both inside or outside. 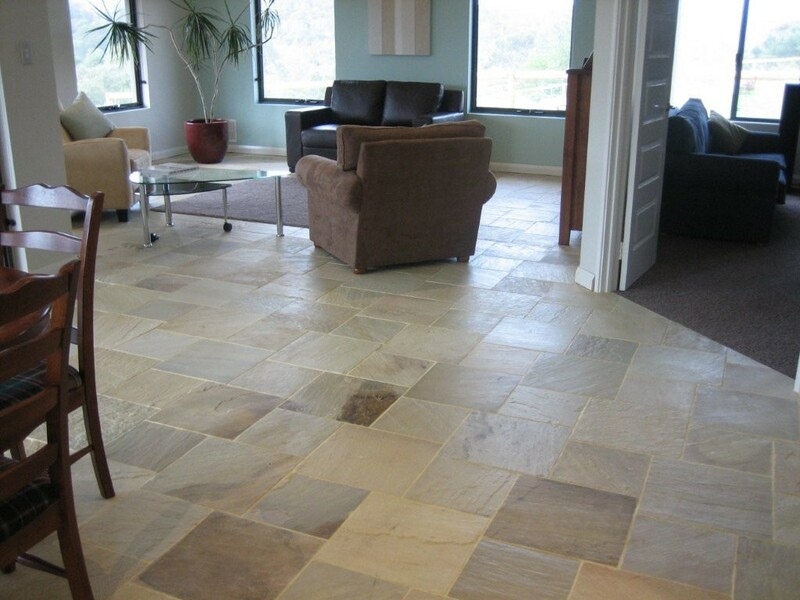 Whilst all sandstone tiles are unique it is more uniform than slate in appearance so does not have the vast colour changes that some slate floors will have. 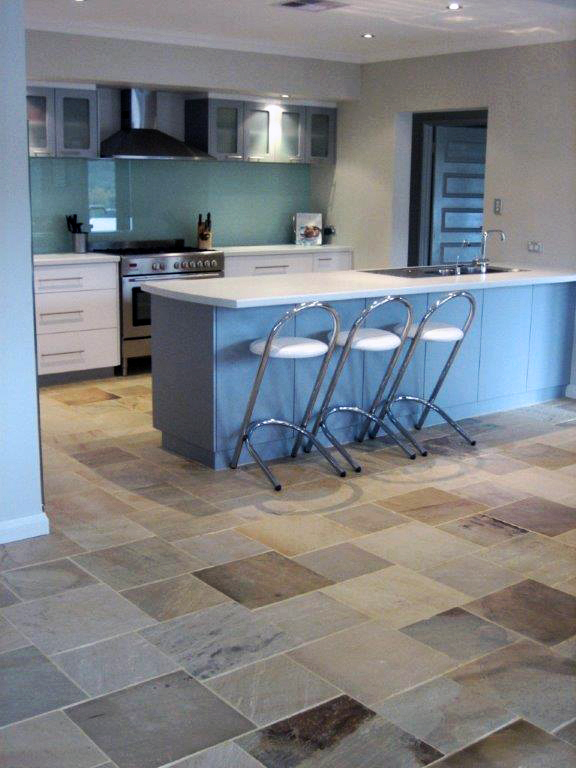 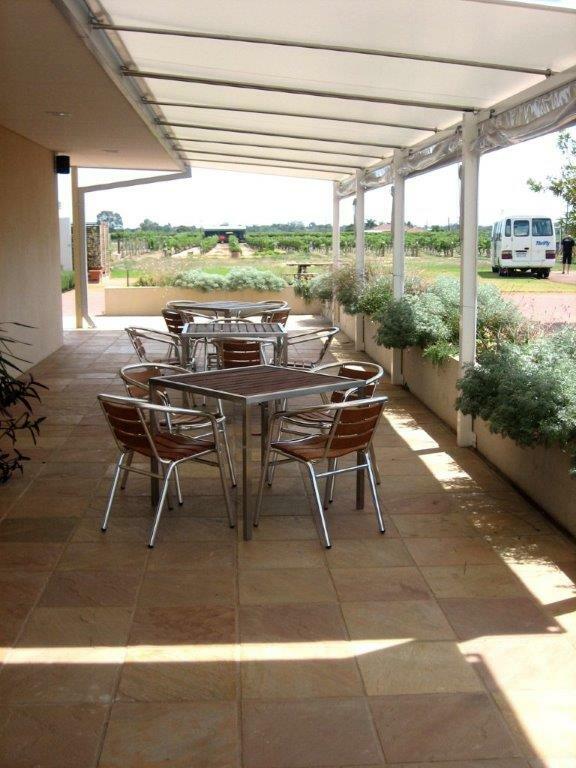 The beautiful natural light and airy tones of sandstone tiles and flooring will complement numerous design options. 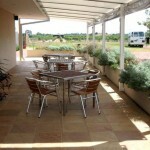 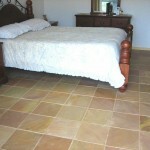 Sandstone tiles are hard wearing and slip resistant. 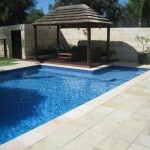 Cost effective. 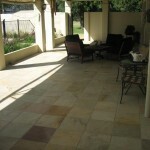 Sandstone tiles start from as little $49m2. 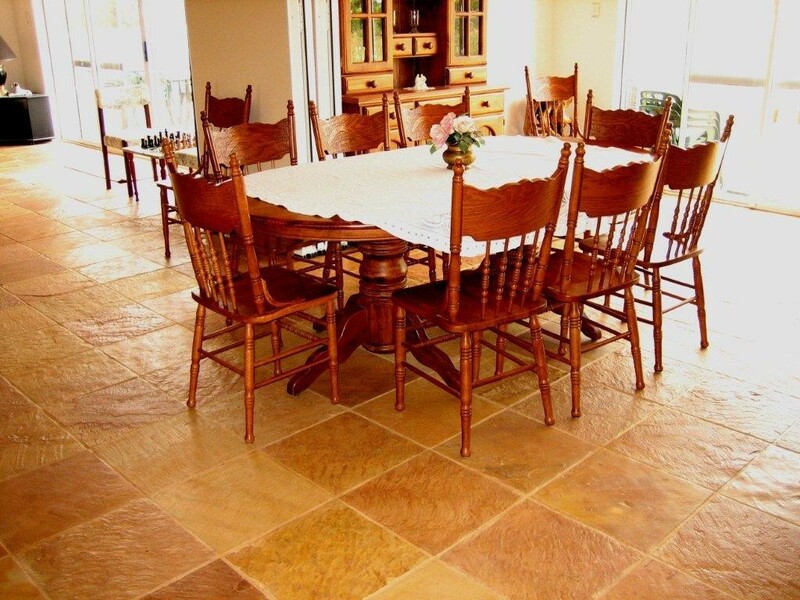 Sandstone is a natural insulator reducing heating and cooling costs. 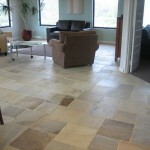 No discolouring grout lines as the whole floor is sealed. 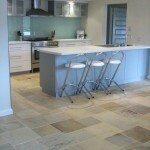 No noticeable chips and scratches as the colours penetrate through the stone. 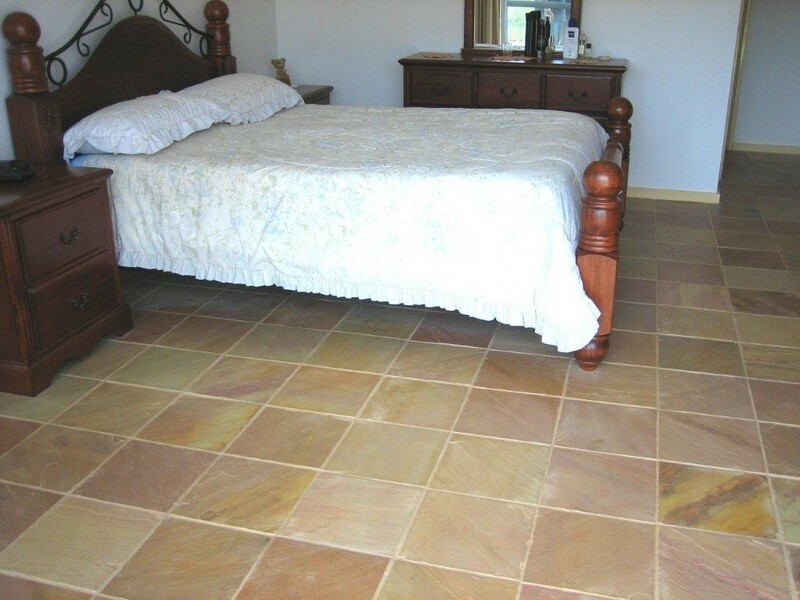 For anyone interested in laying Slate or Sandstone themselves, please download a printable Laying Guide from the link below.